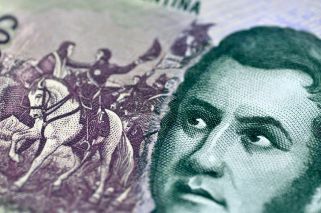 Jair Bolsonaro says he wants to liberalise a largely closed economy, so why is he being called a “populist”? Is he being “fascist” when he makes derogatory comments about blacks, Indians and gays? What about when he says political opponents should be shot or waxes nostalgic about the 1964-1985 dictatorship? The seven-term congressman is the focus of fierce debate in Brazil and beyond over how to describe a candidate whose eclectic mix of policies and harsh language thrills supporters and terrifies detractors. His opponent, Fernando Haddad, frequently says Bolsonaro is “extreme” and represents “a risk” to democracy. 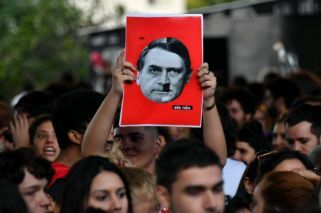 Haddad’s Workers’ Party has gone so far as to liken Bolsonaro to Adolf Hitler and the Nazi Party in campaign videos. The debate comes in part because Bolsonaro’s policy positions are sometimes at odds with his public statements and with the narrative that he pushes about himself. Take the term populist, which many news agencies routinely use to describe him. Bolsonaro’s rhetoric emphasises “the people” against “the elite,” words that encompass the most common definitions of the term. But experts note that what he has promised to do with the economy can hardly be called populist. But news organisations, academics and political consultants defend their use of the terms based on Bolsonaro’s statements that range from a denigration of blacks, gays and indigenous peoples to assertions that Workers’ Party stalwarts should be shot. Folha de São Paulo, one of Brazil’s leading daily newspapers, put the debate front and centre earlier this month when it publicly debated a memo that had been sent to the newsroom that said Bolsonaro could be described as “right-wing” but not “extreme right.” The terms “extreme left” or “extreme right” are “for groups that practice or preach violence as a political method,” the memo said. Letters criticising and supporting the decision poured in, and the paper’s ombudsman reviewed the issue. Her take: the newspaper was wrong in not calling Bolsonaro “extreme right” because Bolsonaro has explicitly defended the violation of human rights, questioned the rights of minorities and denied that the military government had been a dictatorship that used torture. The most controversial term is “fascist.” Even ex-president Fernando Henrique Cardoso said comments by one of Bolsonaro’s sons, a congressman and close adviser, “smelled of fascism.” Video had surfaced of Eduardo Bolsonaro arguing during a talk in July that the Supreme Court could be shut down by just a few soldiers. Bolsonaro advocates strong, even authoritarian leadership and exalts the state over the individual, central tenants of fascism. But many argue that it’s a huge leap to talk about Bolsonaro in the same category as Italian strongman Benito Mussolini – the first to use the term in the early 20th century – or Adolf Hitler, who oversaw the extermination of millions of Jews.